MLS# 180067168 - 10345 Moselle St, San Diego, CA 92131 - Abacus Properties Inc. Courtesy of Van Hutch Homes, Christopher Hutchinson. MOTIVATED SELLER / A MUST SEE! 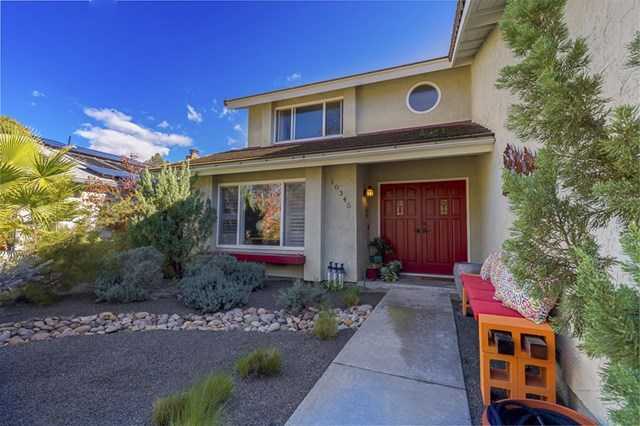 Located on a quite Cul-De-Sac Canyon lot, in Wine Country! Seller has a Transferrable Membership to the Scripps Ranch Swim & Racquet Club (2 Year waiting list for new members)! Minutes from 3 top rated Public Schools. Features: 50 year Concrete Tile Roof, newer Heating Unit & Hot Water Heater, newer Windows & Sliding Glass Drs, a large 420 Sqft Family Room that opens onto a renovated Kitchen, a 216 Sqft Master, a private backyard with new Sod & covered patio. A MUST SEE! Please, send me more information on this property: MLS# 180067168 – $905,000 – 10345 Moselle St, San Diego, CA 92131. I would like to schedule a private showing for this property: MLS# 180067168 – $905,000 – 10345 Moselle St, San Diego, CA 92131.